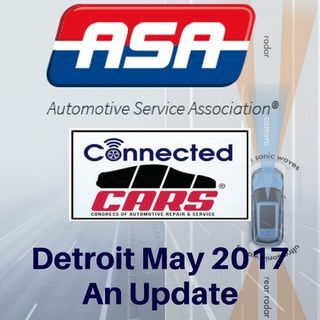 Held in Detroit on May 18th & 19th, 2017 and presented by ASA, Automotive Service Association, Connected CARS (Congress of Automotive Repair & Service) and organized by Donny Seyfer. This training conference brought industry trainers, automotive engineers and service professionals from all parts of North America to learn about rapidly advancing vehicle technology. Participants got an important glimpse into the ... See More world of the connected car with in-depth and detailed looks at ADAS, Next Gen Vehicle Networks and the future of diagnostics.